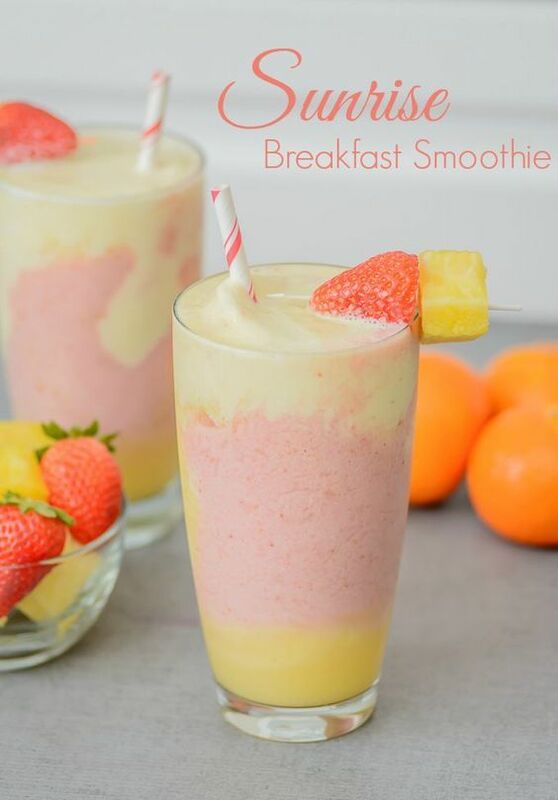 Made with Vanilla Greek Yogurt, frozen strawberries and pineapples and fresh oranges, this smoothie is sure to make mornings go a little “smoother”. For full directions you can go to almostsupermom.com. 0 Response to "SUNRISE BREAKFAST SMOOTHIE"